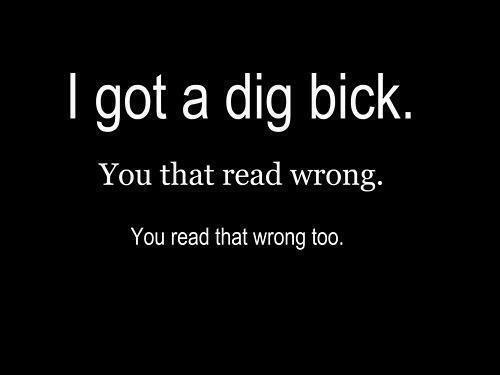 I got a dig bick! Oh wait, you that read wrong. You read that wrong too.